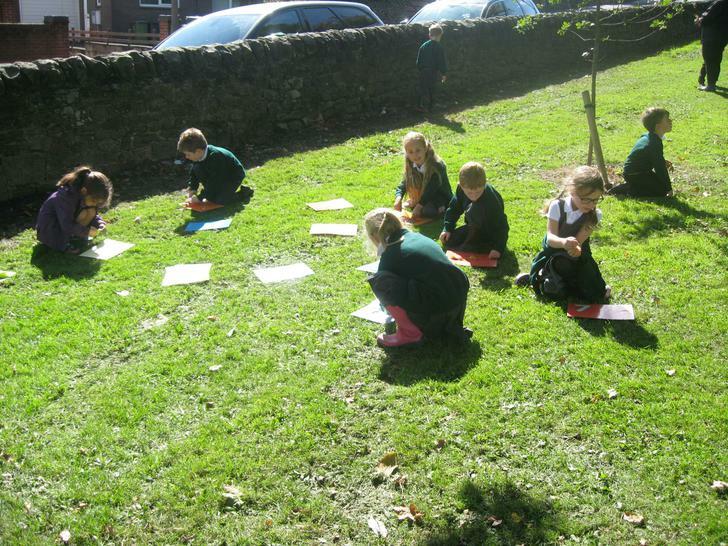 The sun (eventually!) 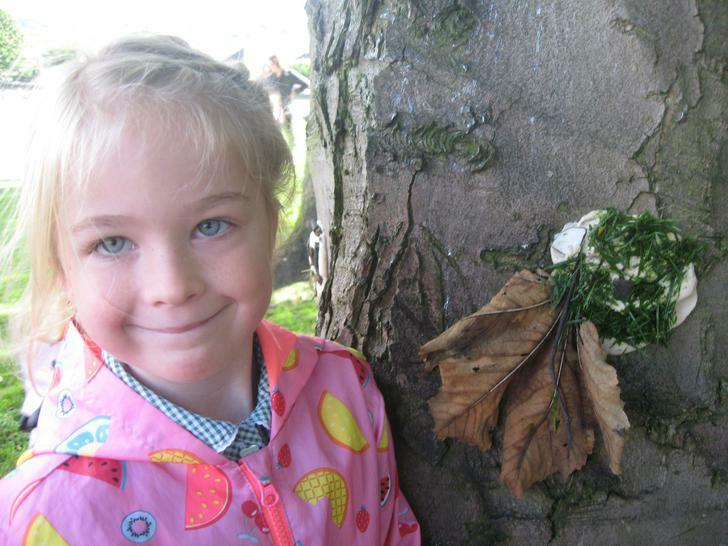 shone and we went for a walk to find signs of autumn and collect autumn treasures. 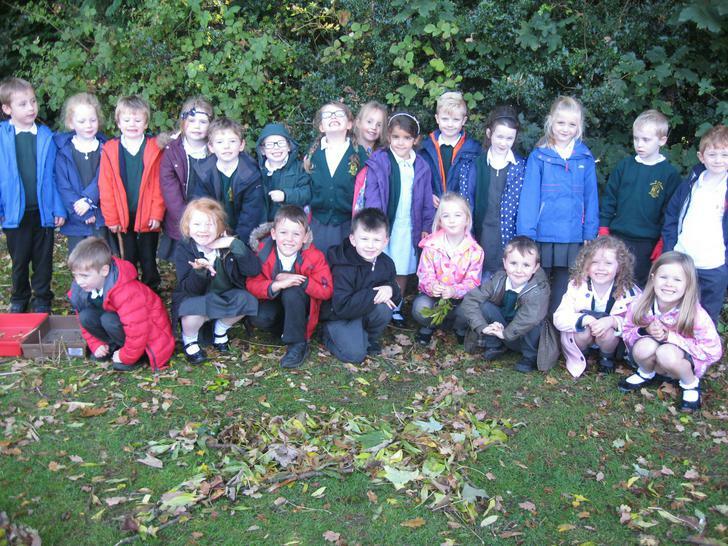 Look at what we got up to! 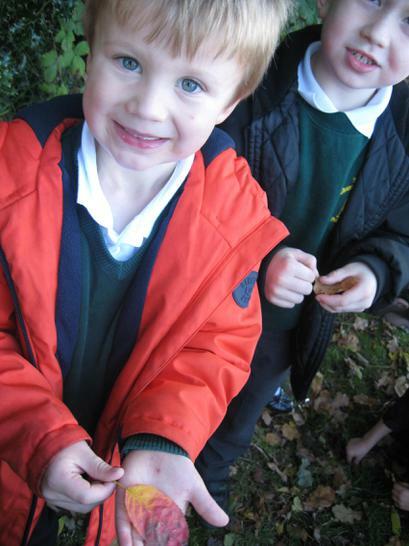 Look at our Bogarts! 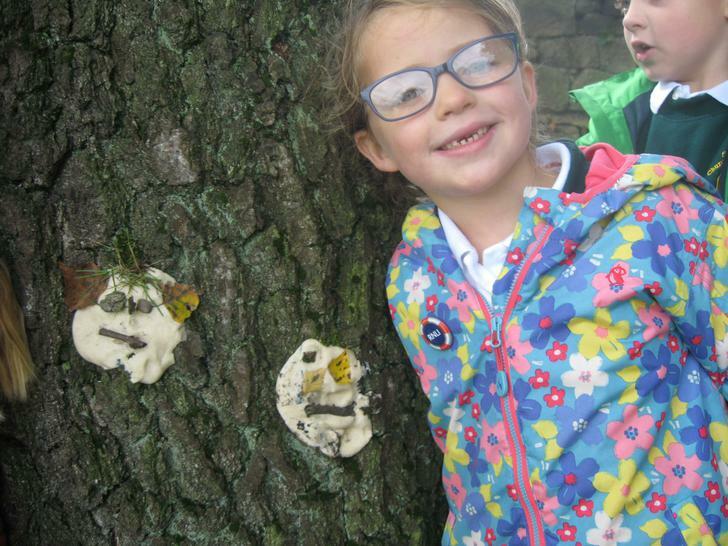 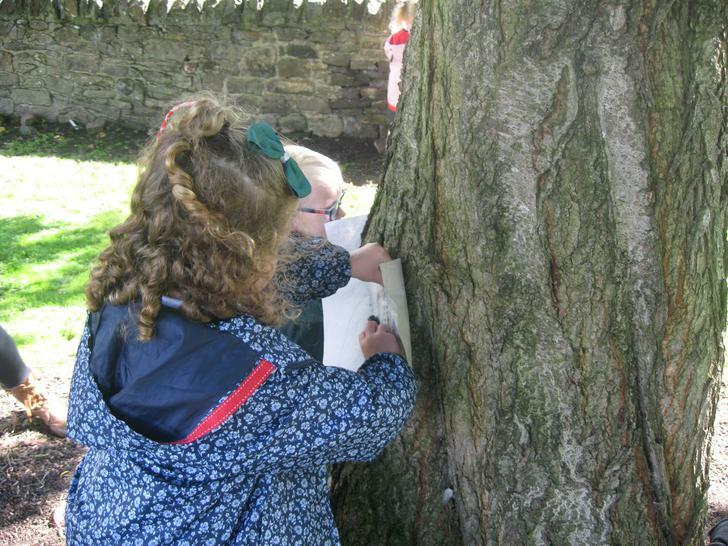 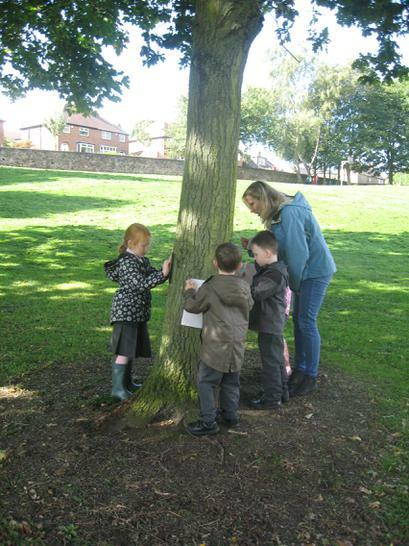 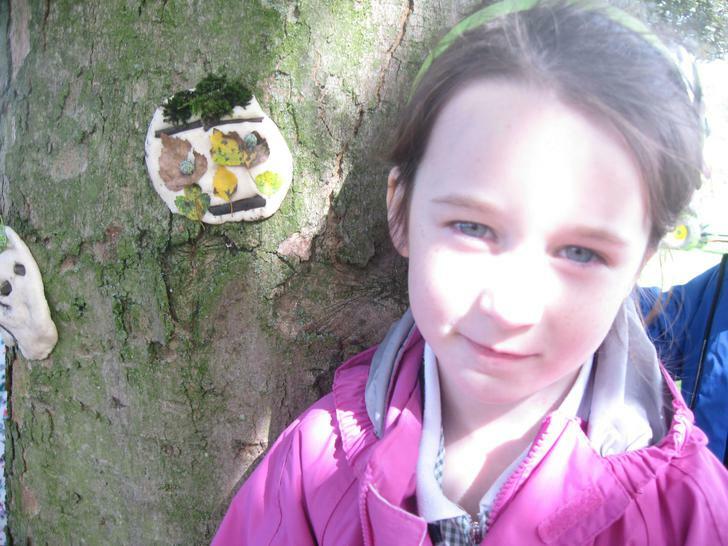 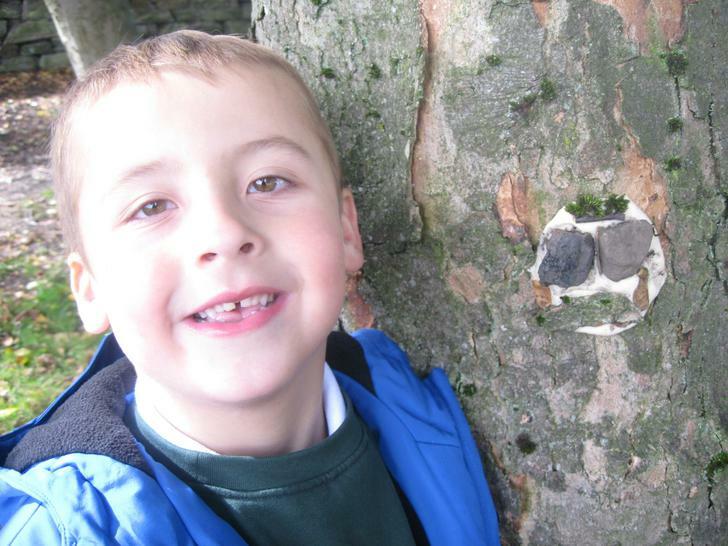 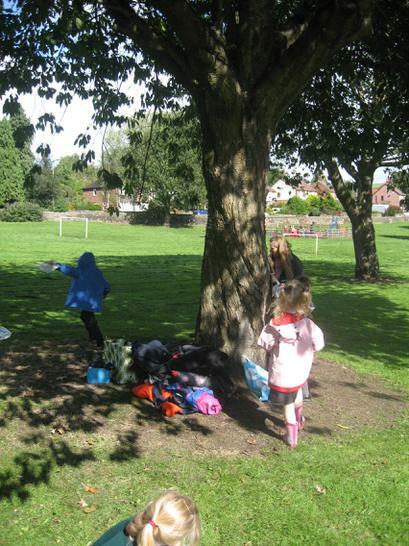 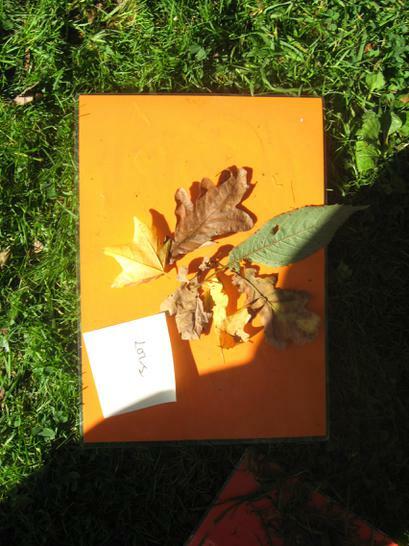 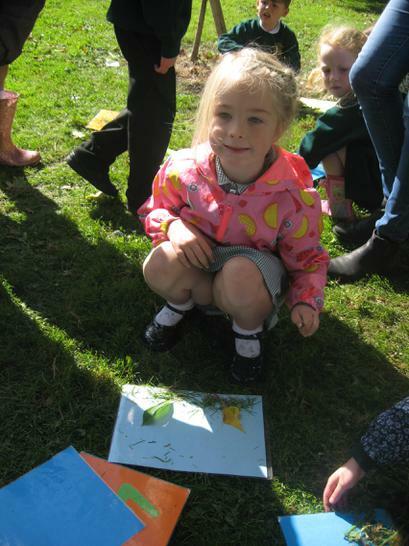 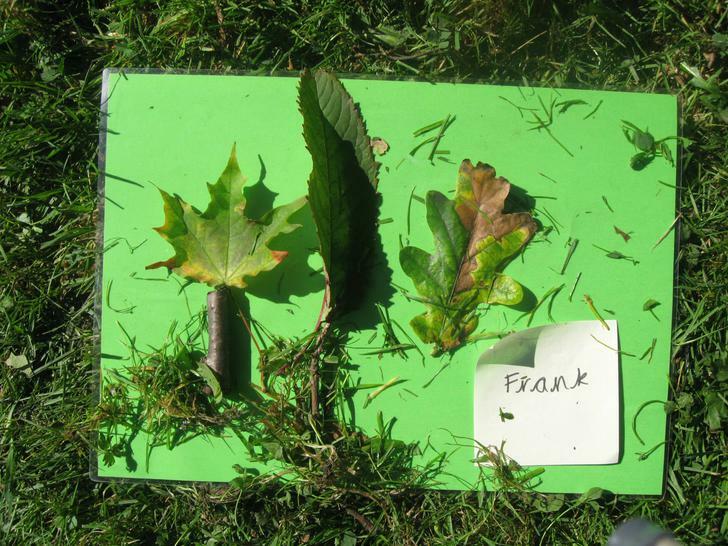 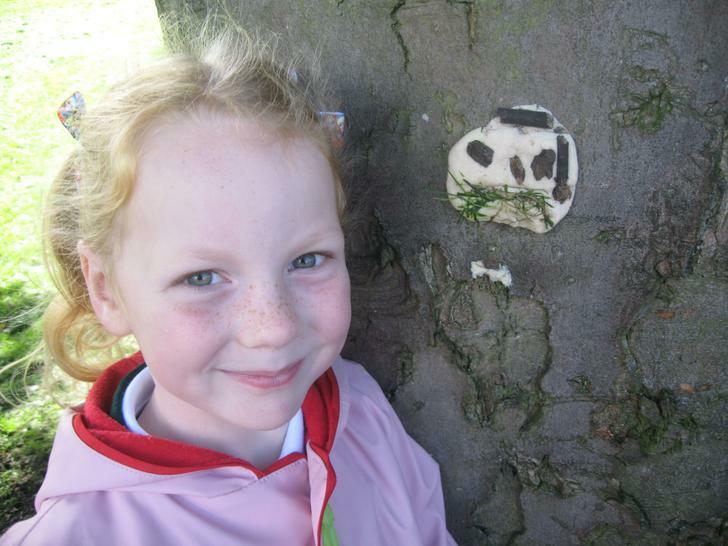 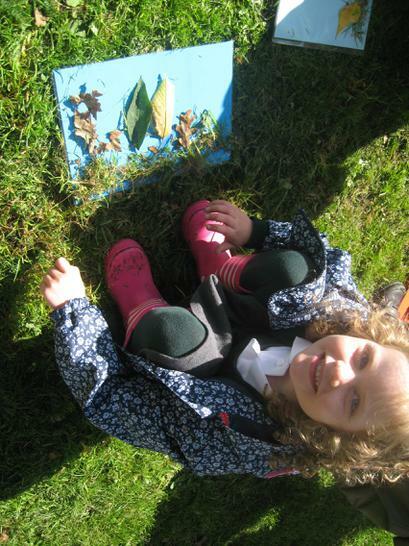 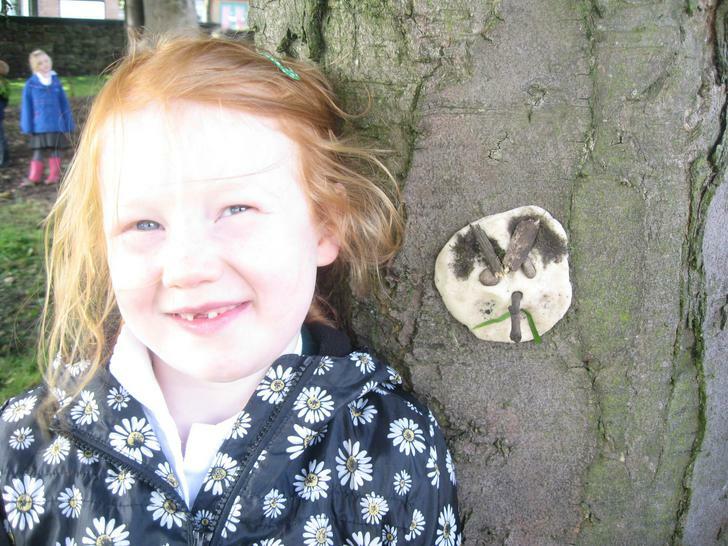 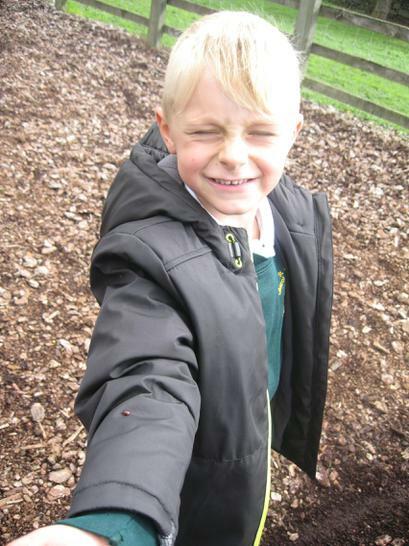 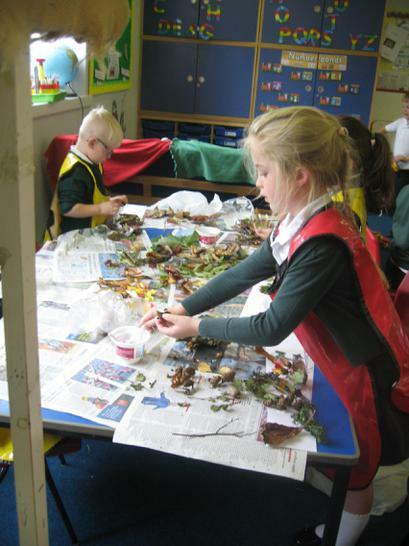 We made woodland collages and did bark rubbings. 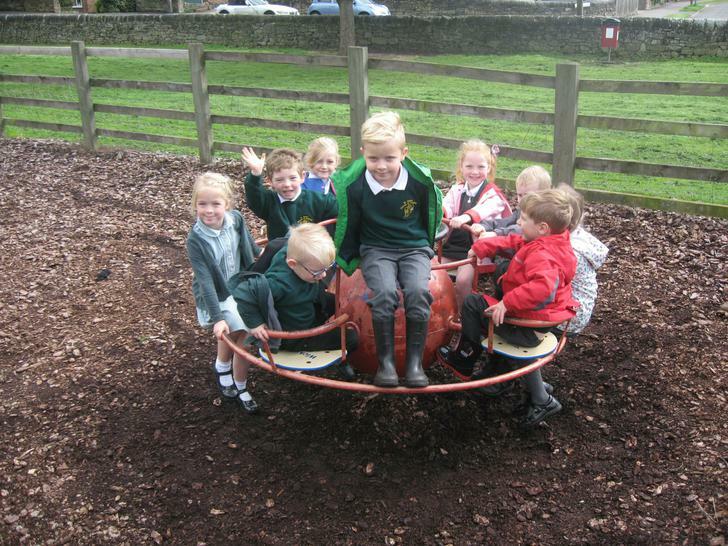 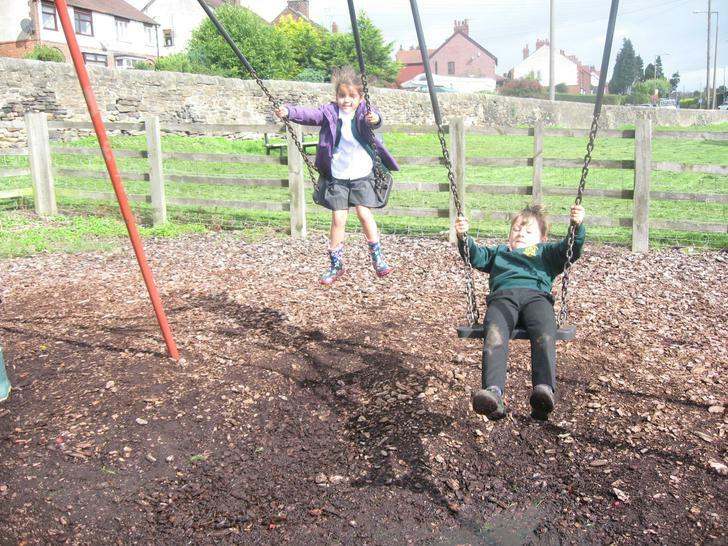 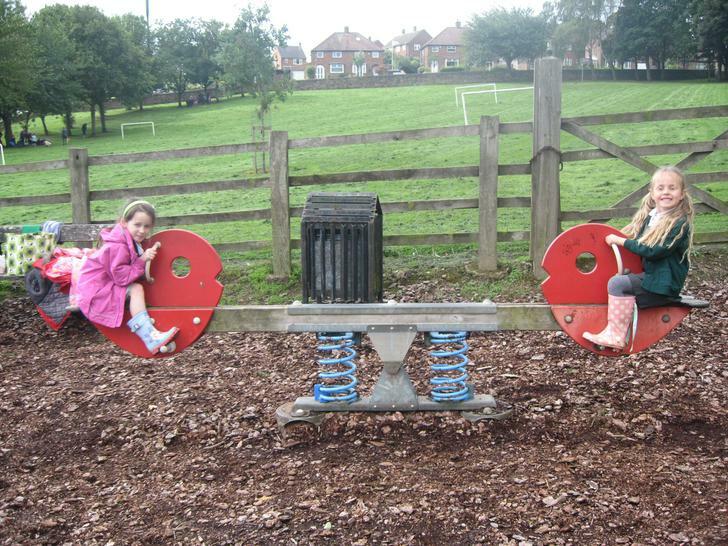 And of course we had to test out the play area! 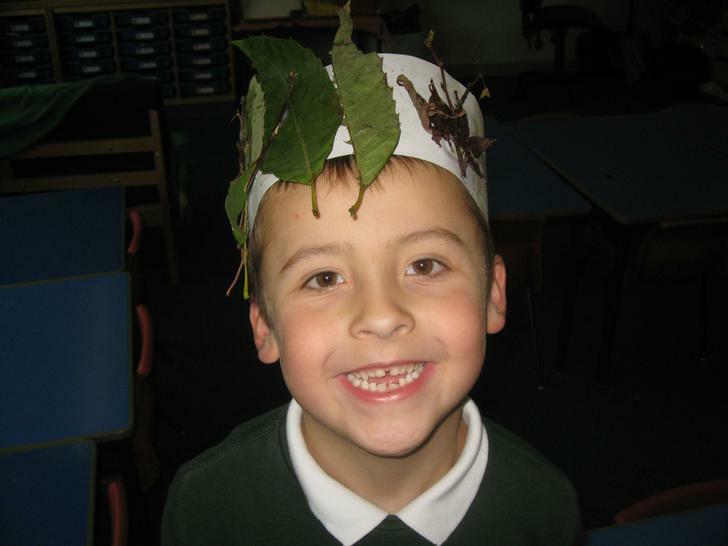 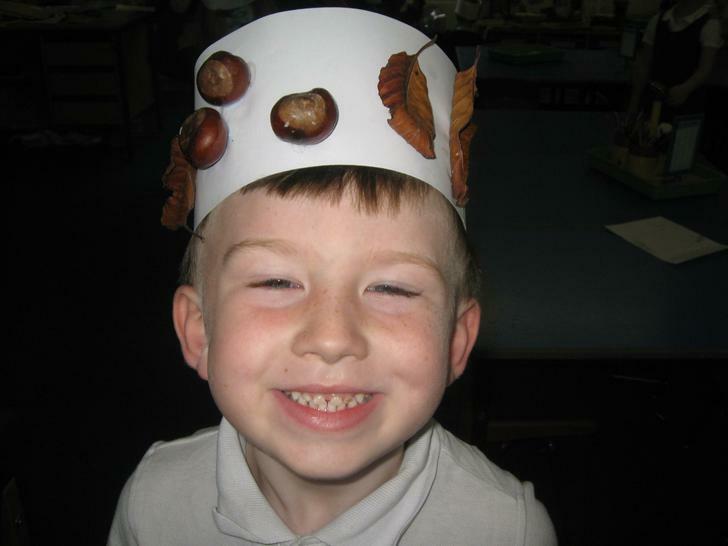 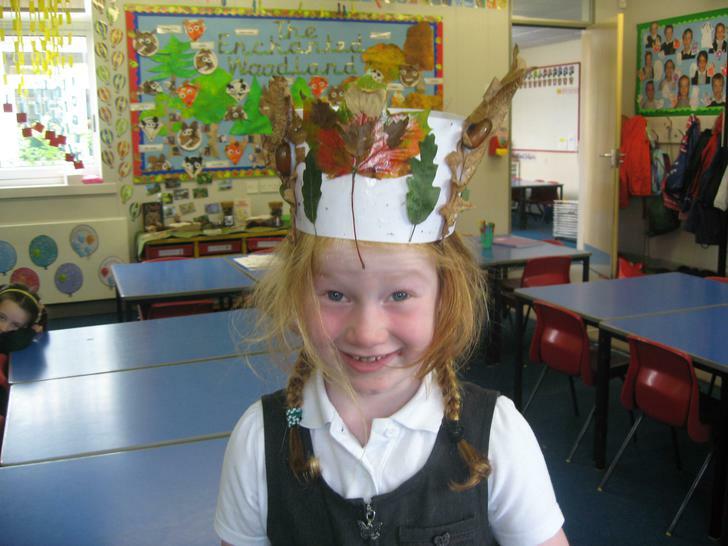 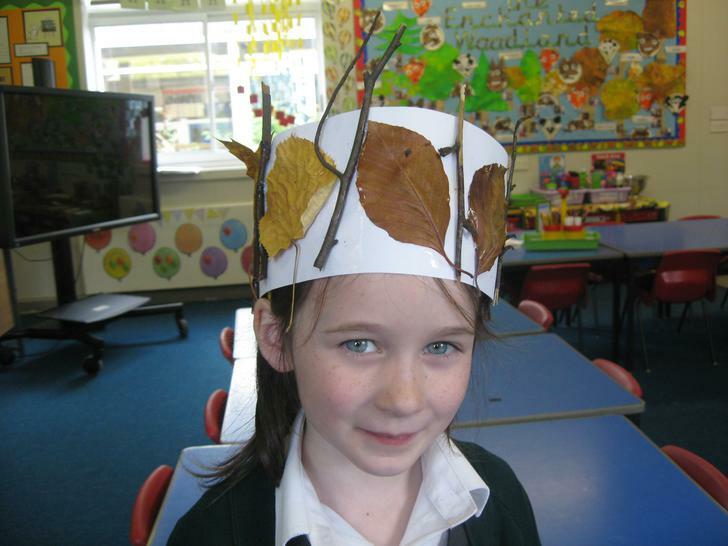 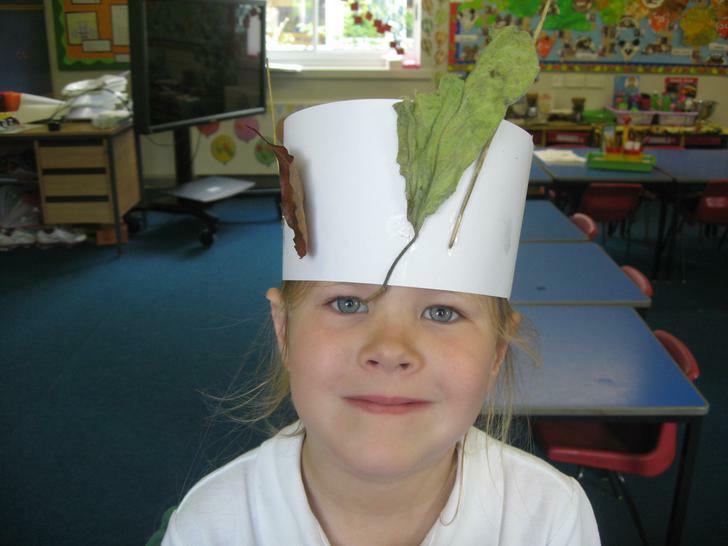 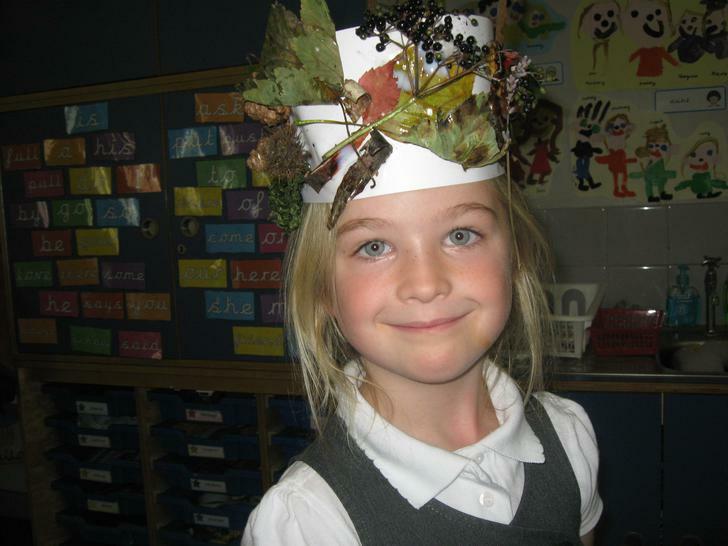 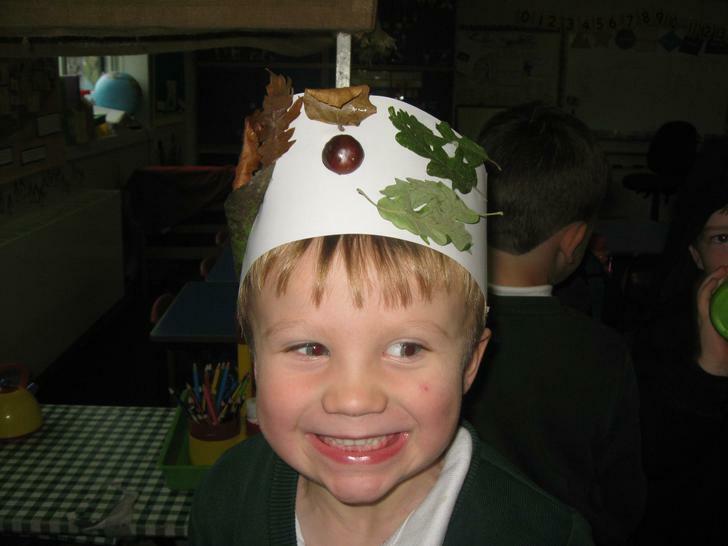 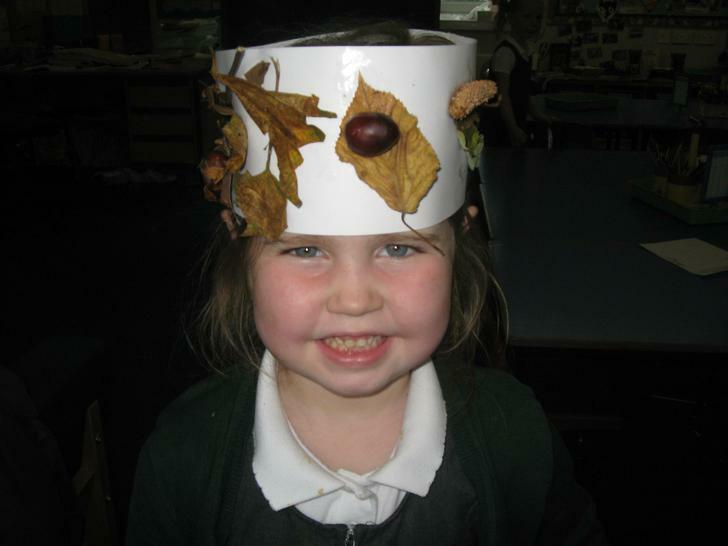 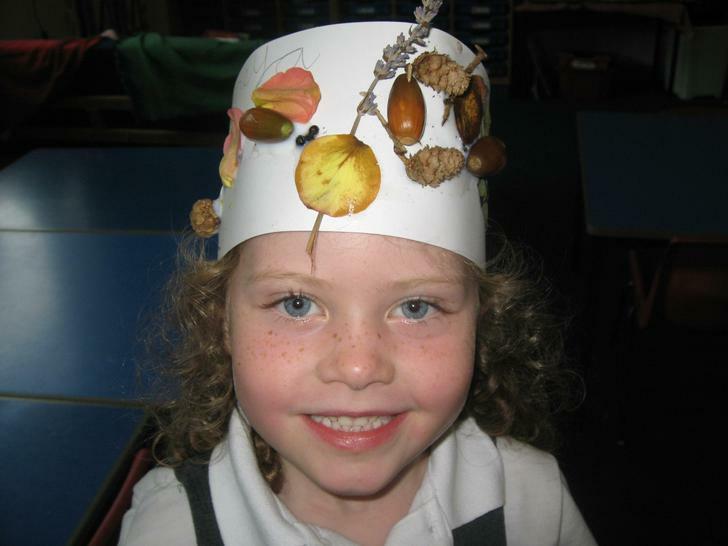 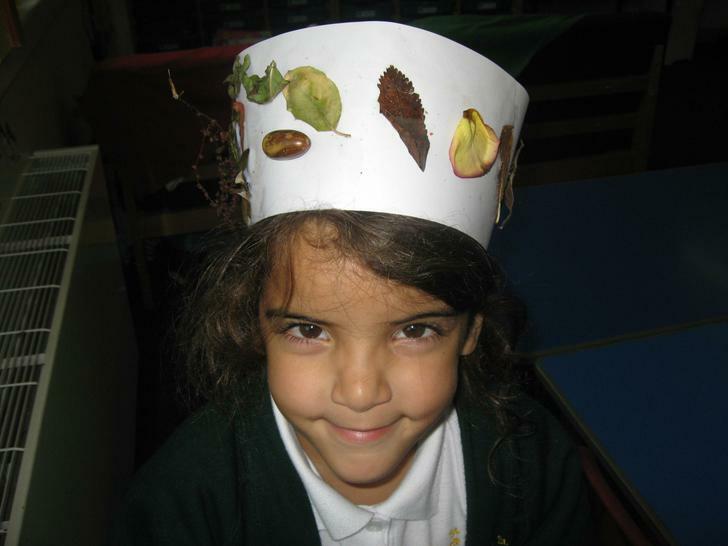 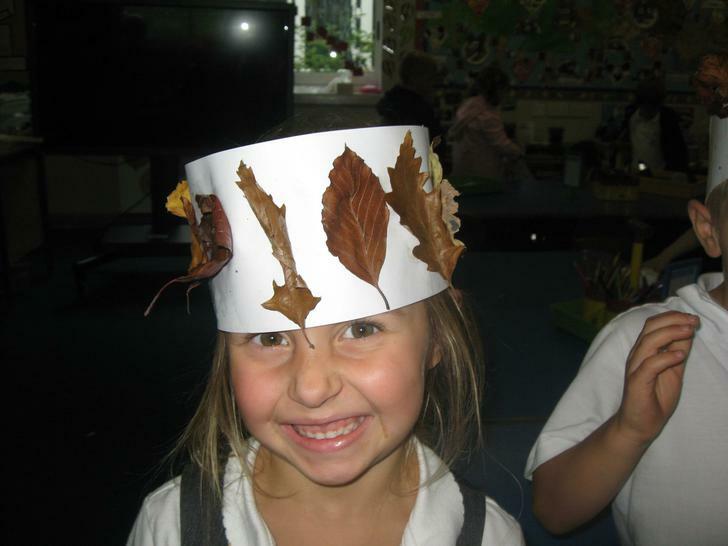 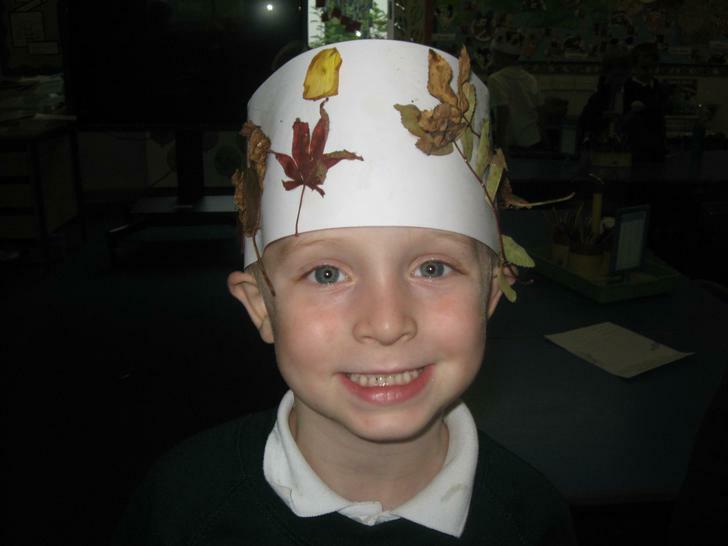 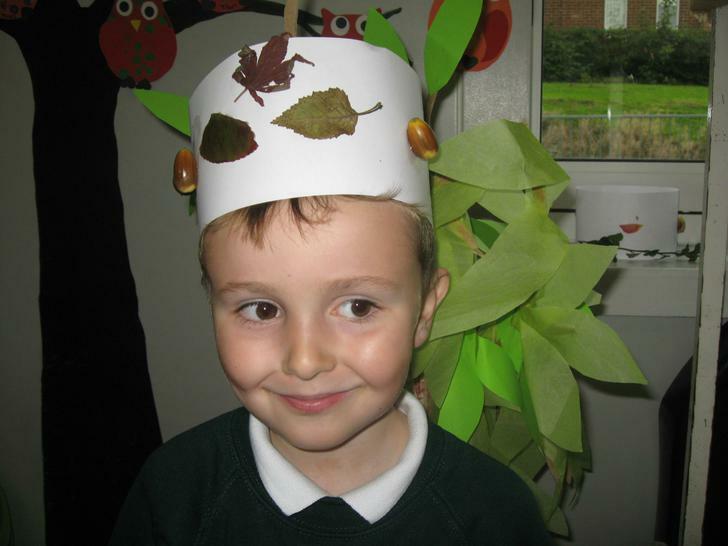 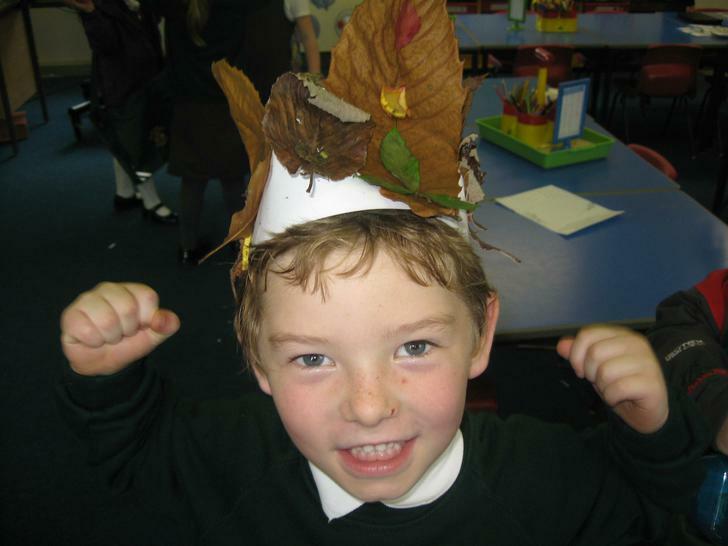 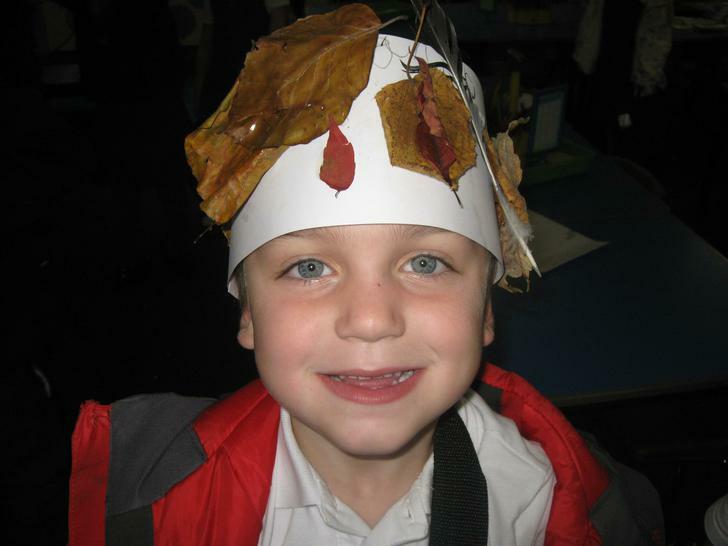 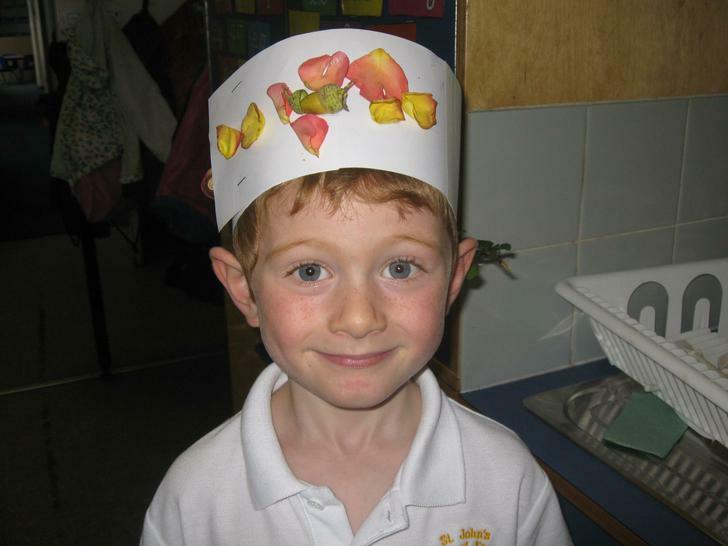 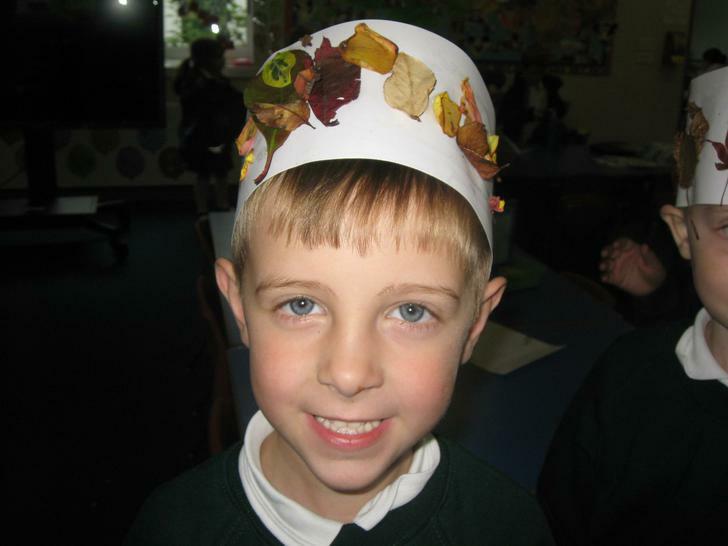 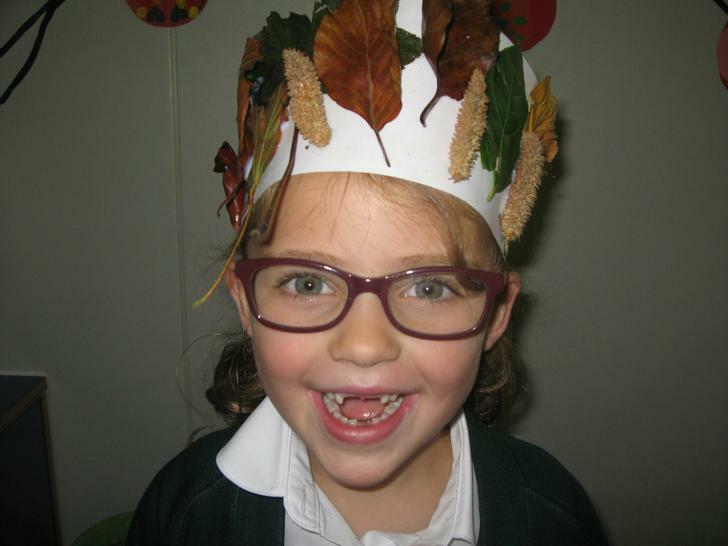 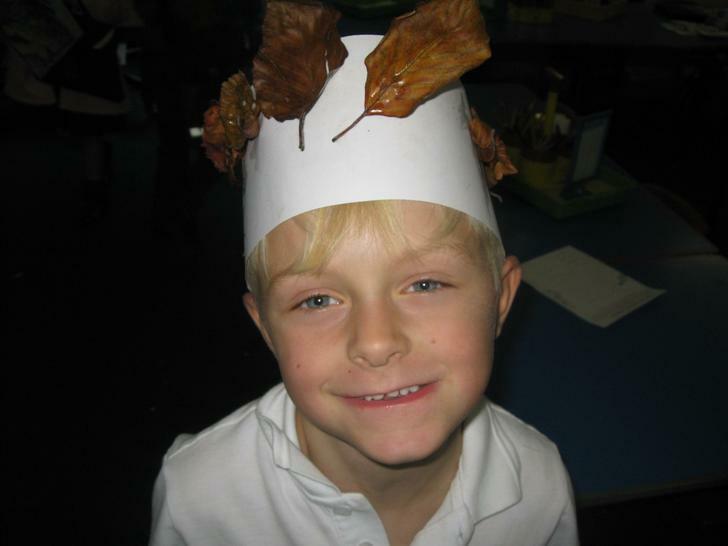 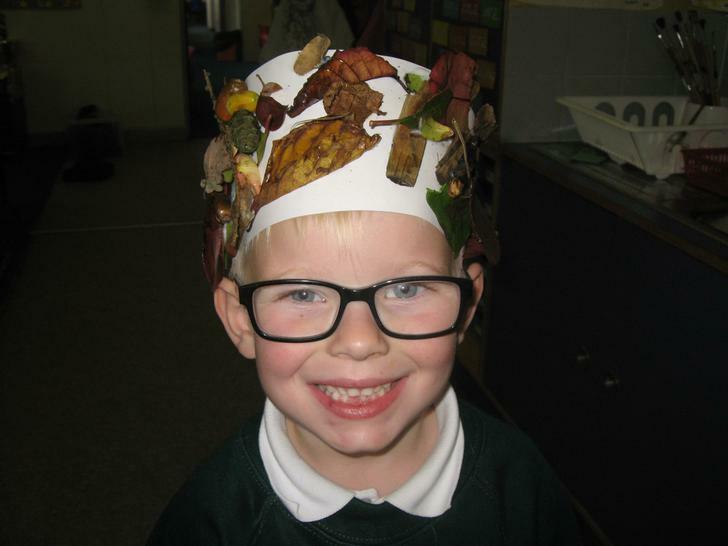 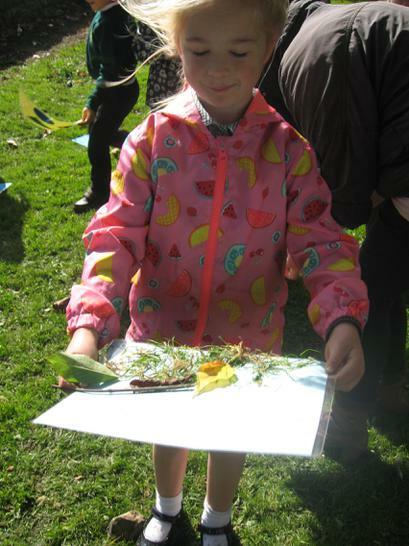 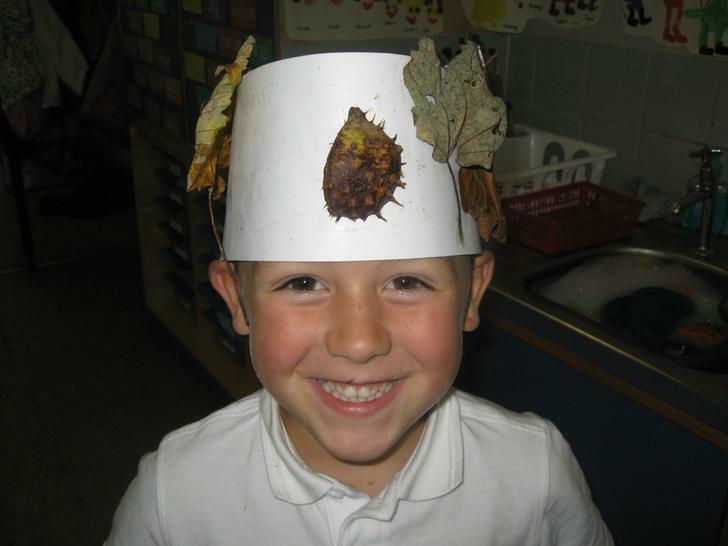 This week, in Literacy, we read instructions on how to make a woodland crown. 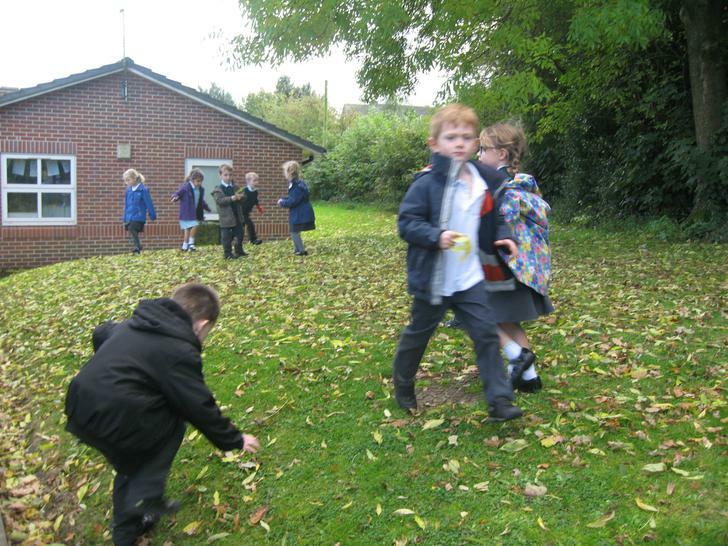 Then we had to follow them carefully to make our own. 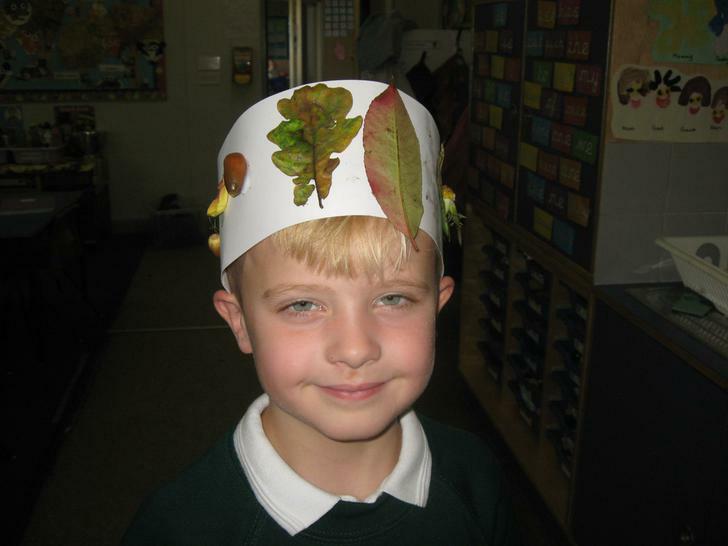 Don't we look fabulous? 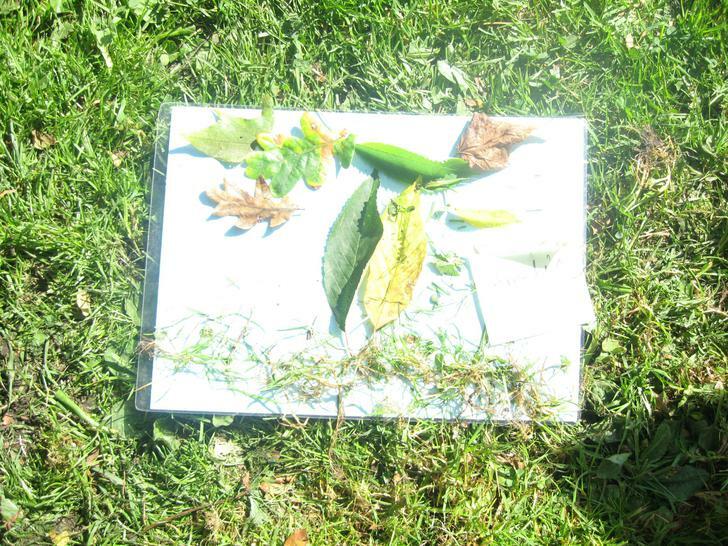 We looked at the different parts of a plant. 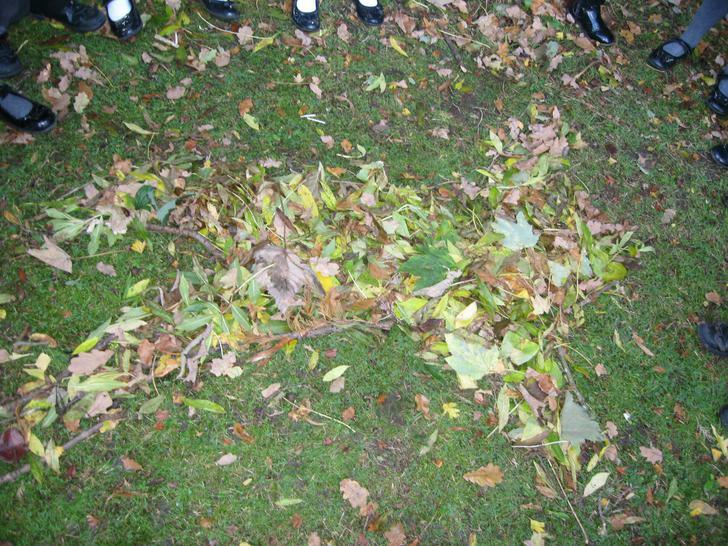 Can you remember what they are? 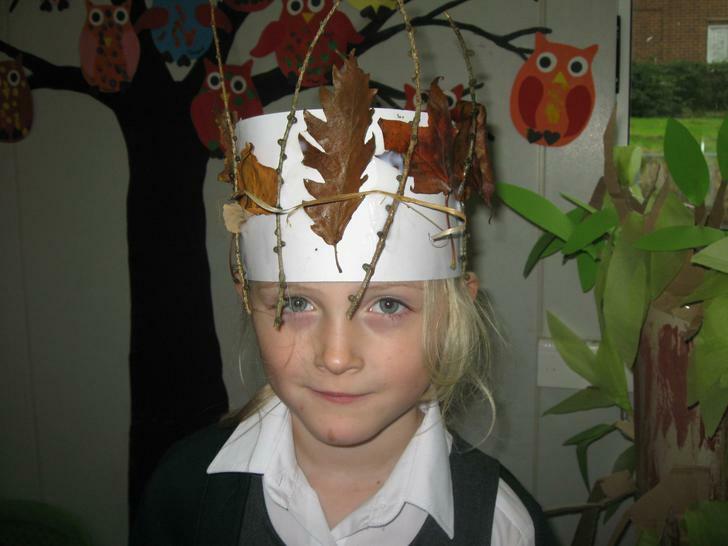 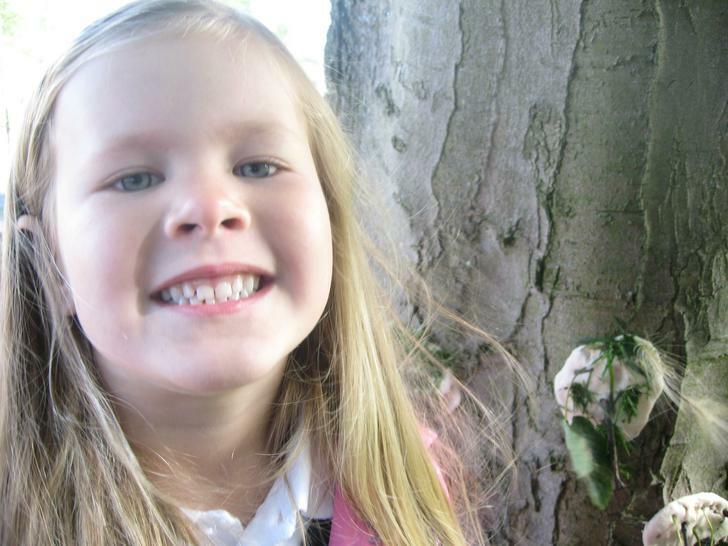 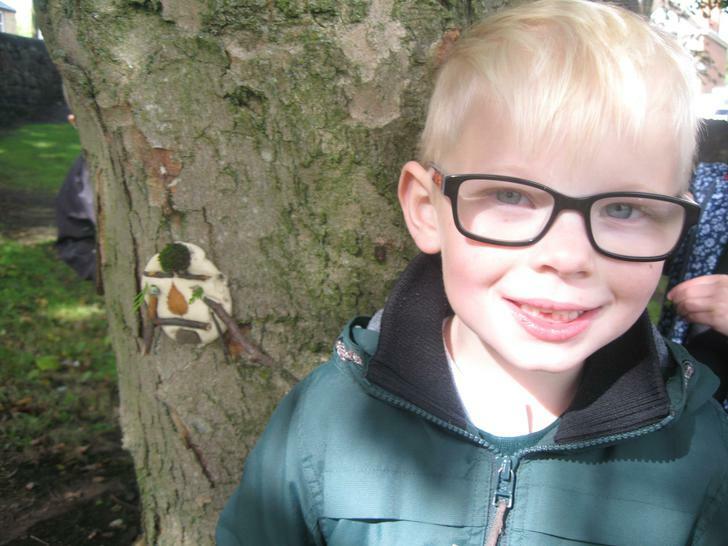 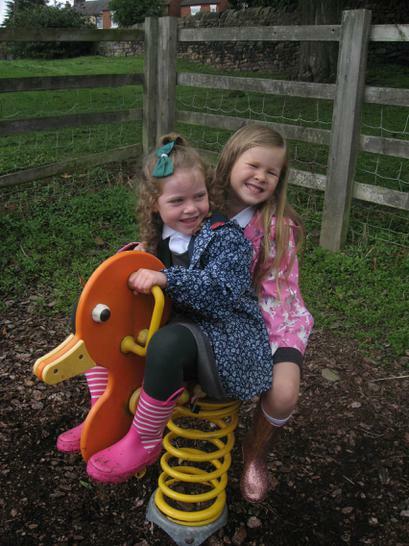 Why not pop into our classrom to see our wonderful Enchanted Woodland display and our Autumn treasures? 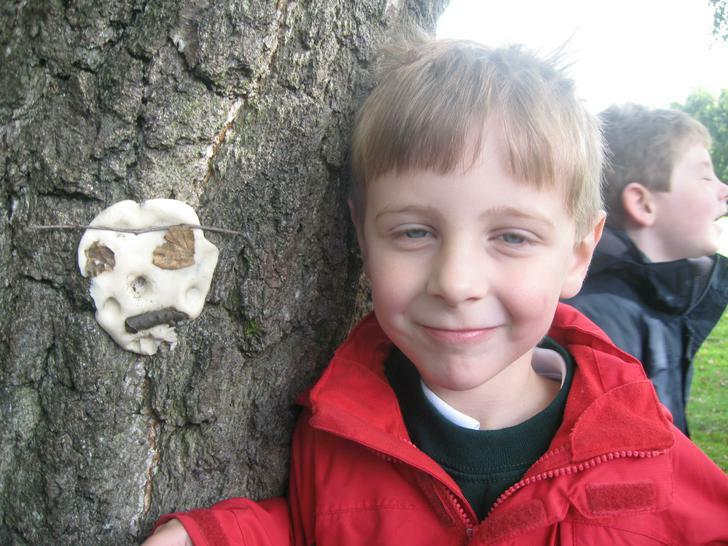 Today, we have been sculptors! 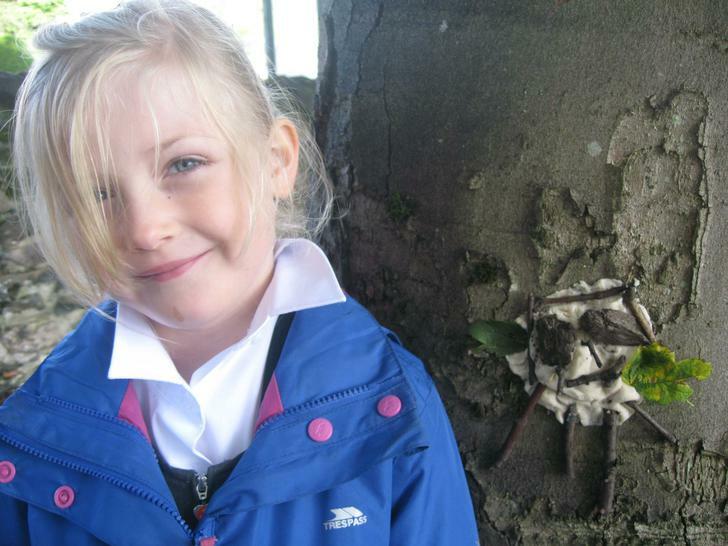 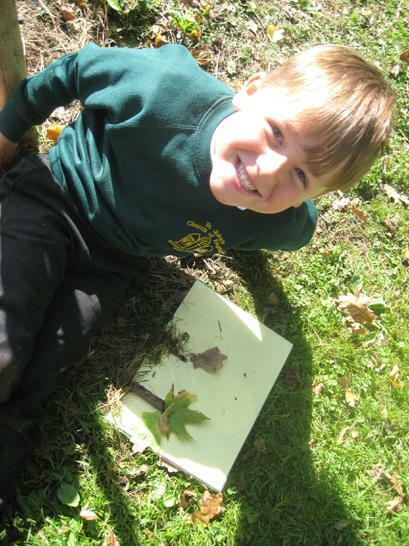 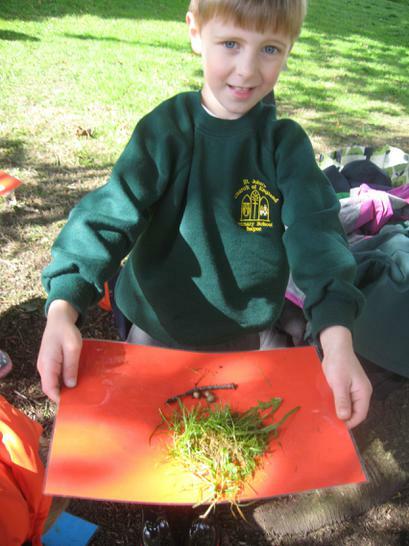 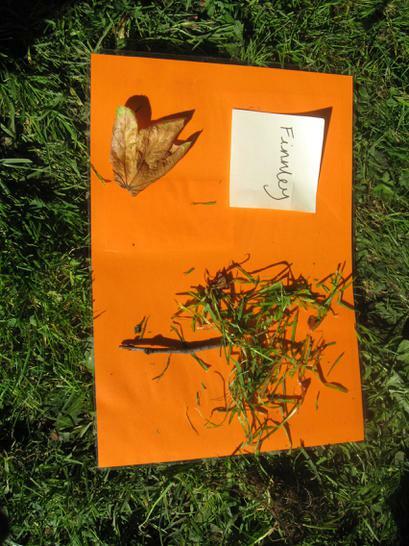 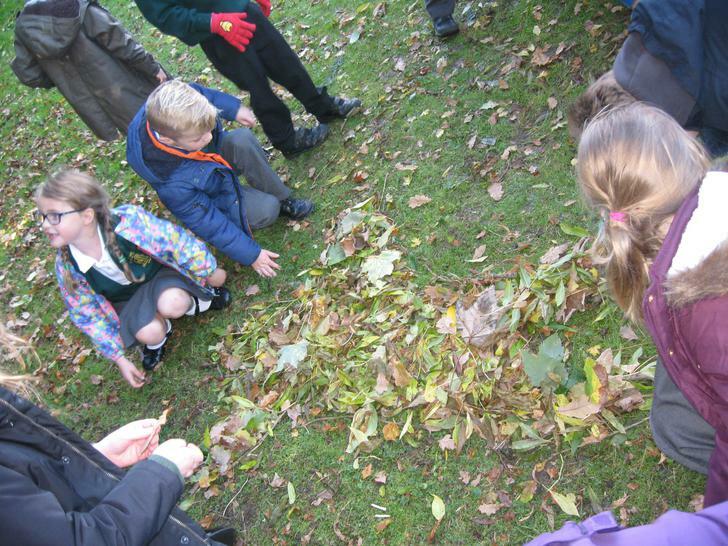 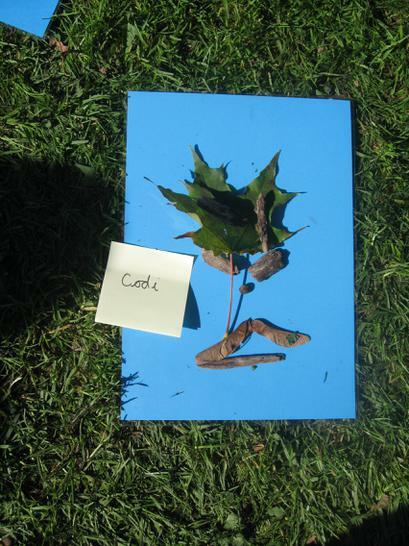 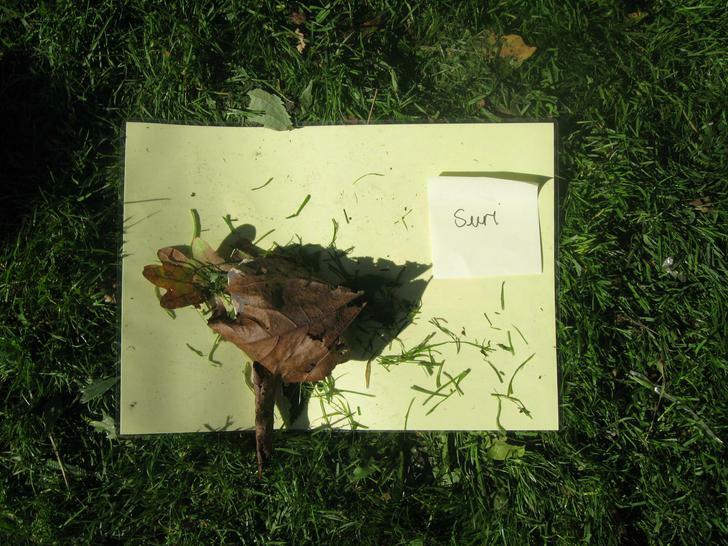 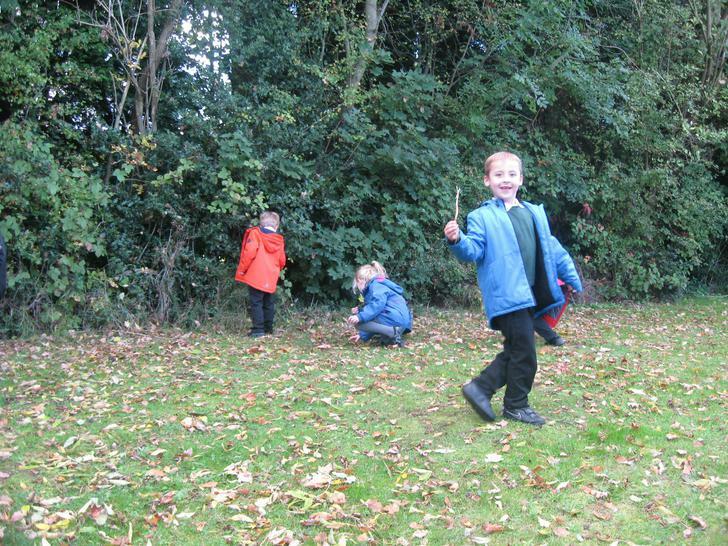 We were inspired by artist Andy Goldsworthy after looking at his work. 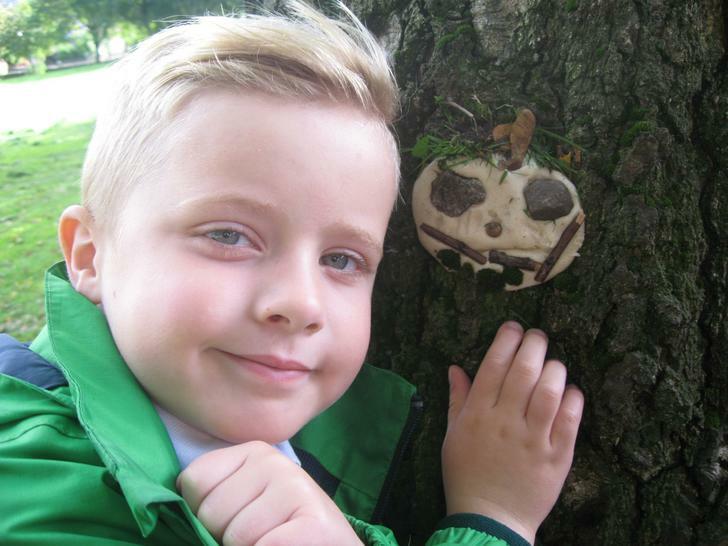 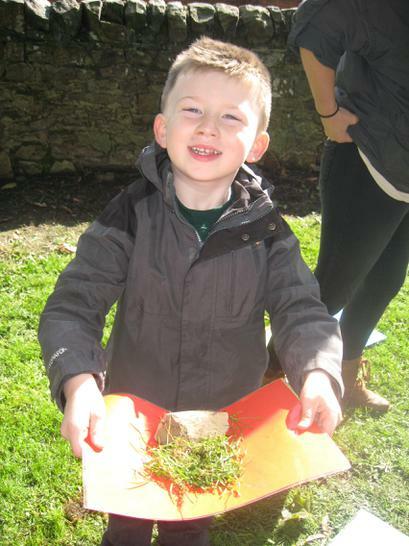 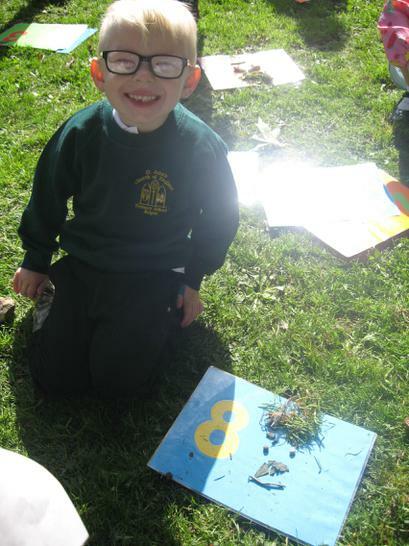 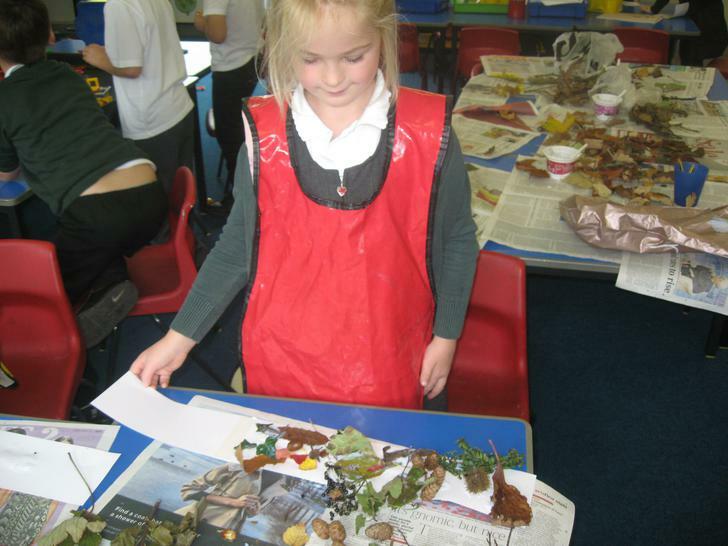 He likes to use natural materials in his work like stones, sand, pebbles, wood, water, leaves, bones and even dung! 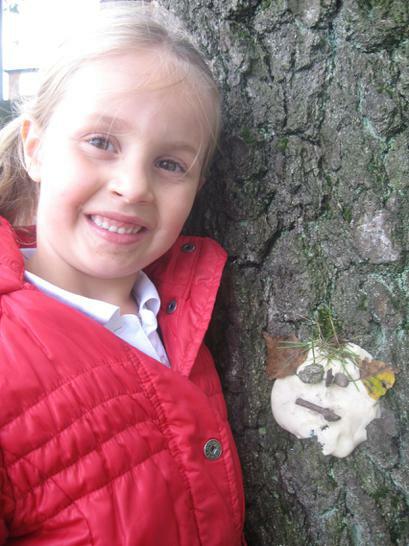 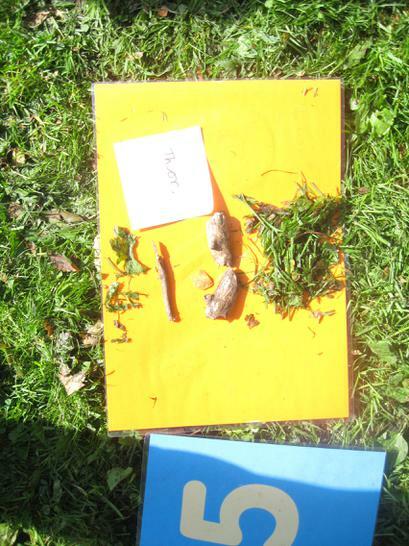 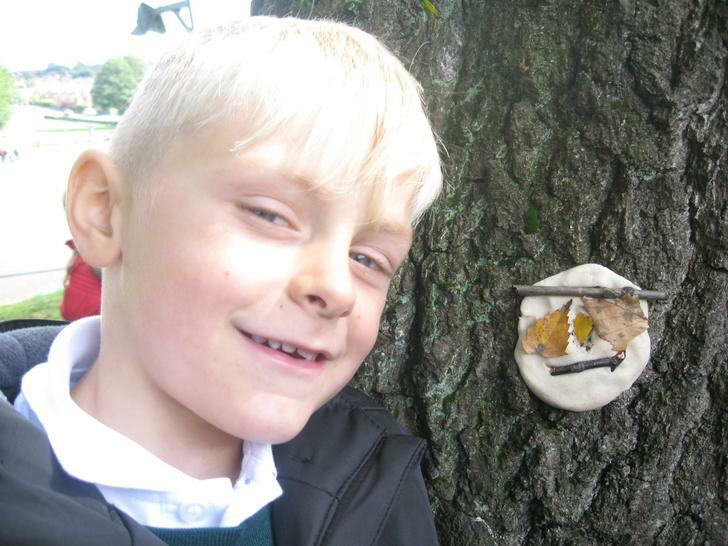 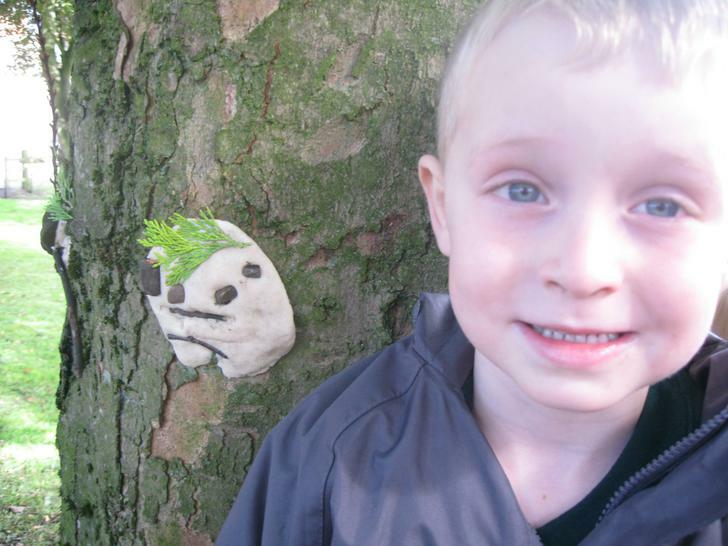 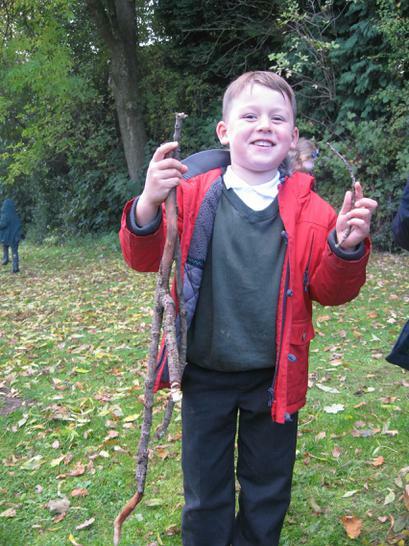 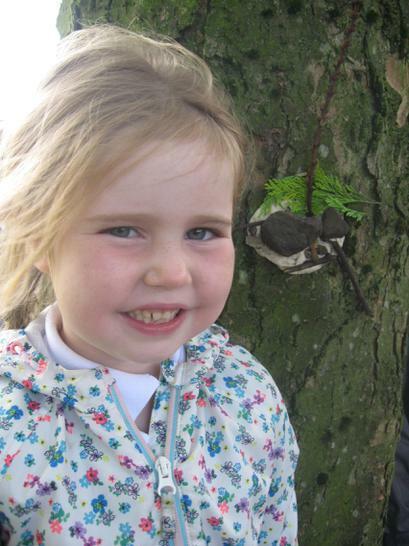 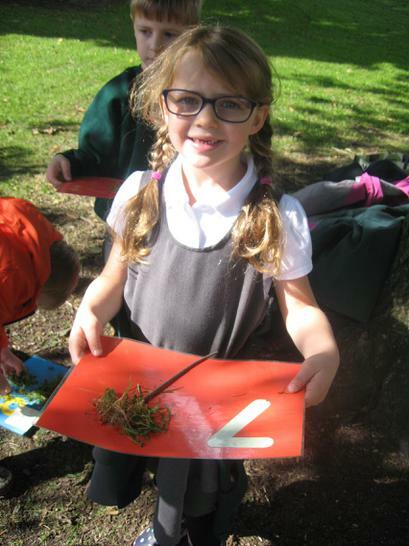 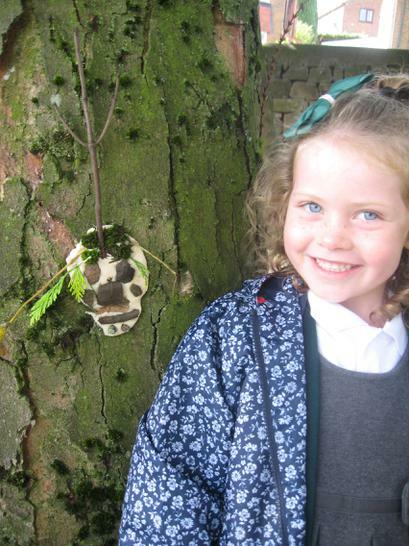 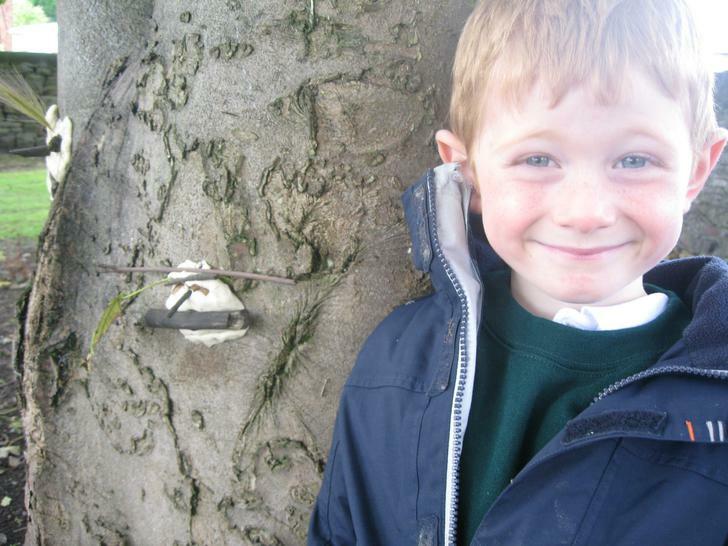 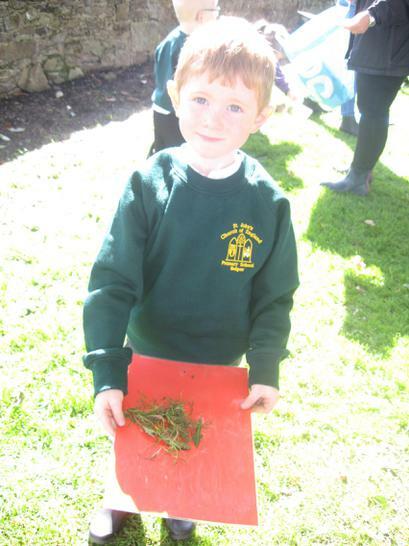 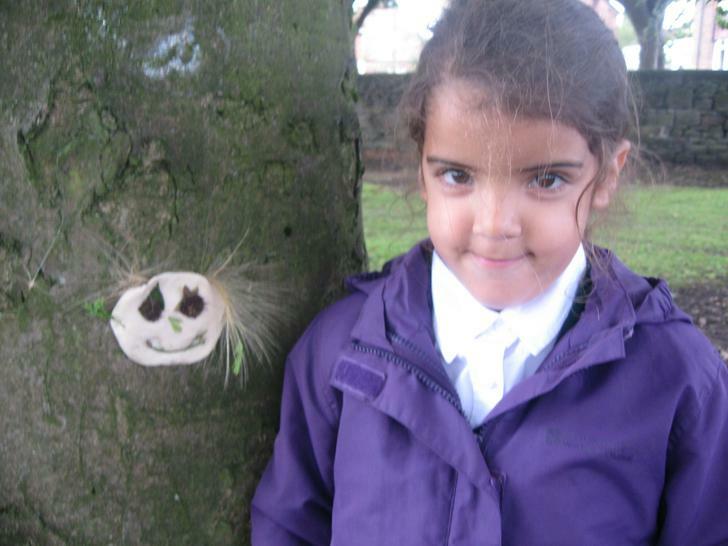 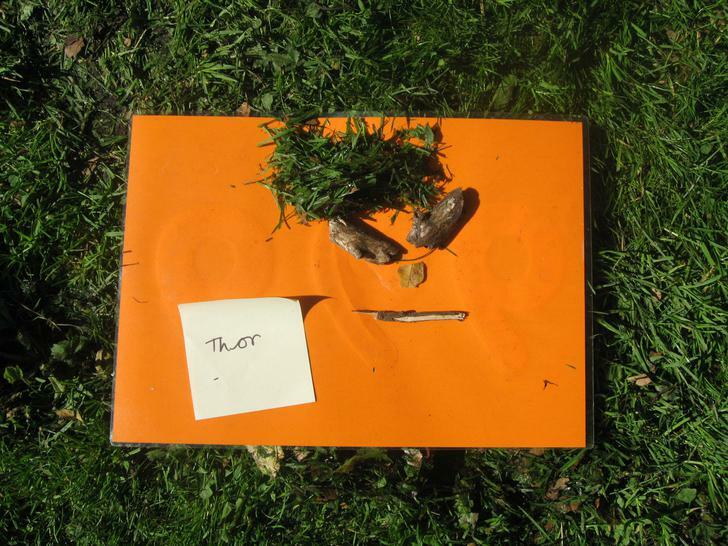 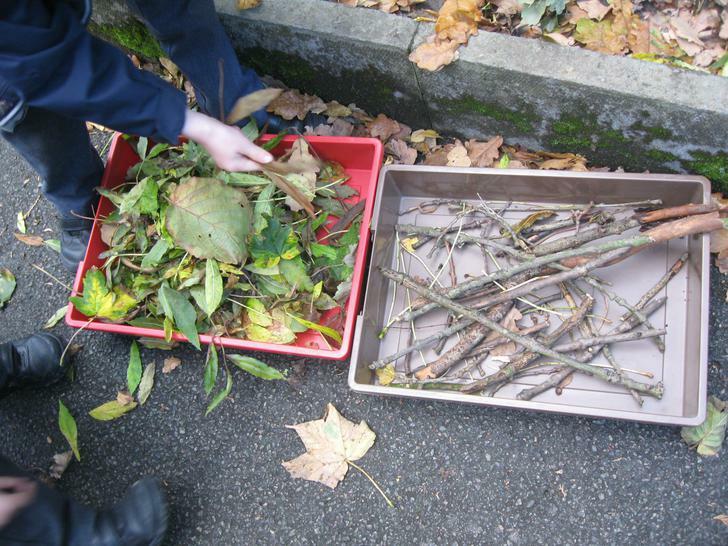 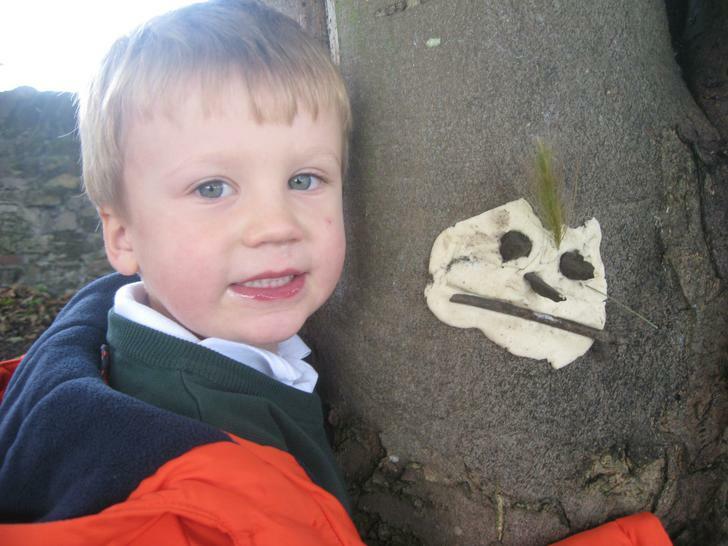 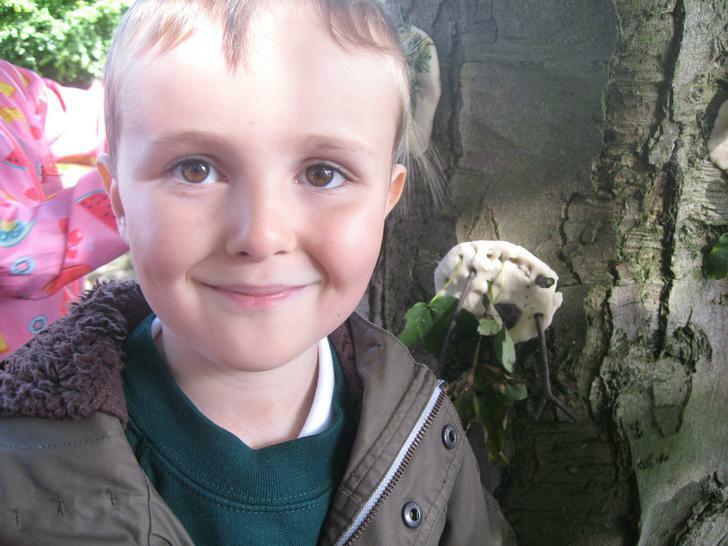 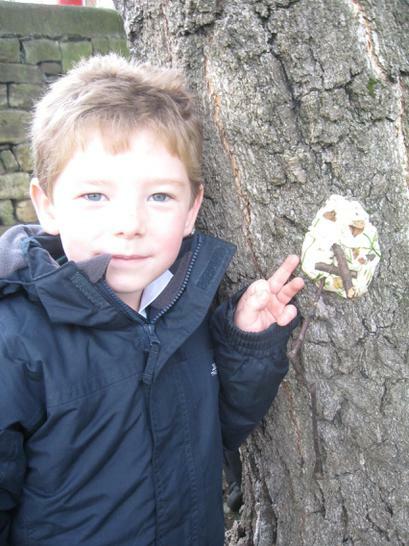 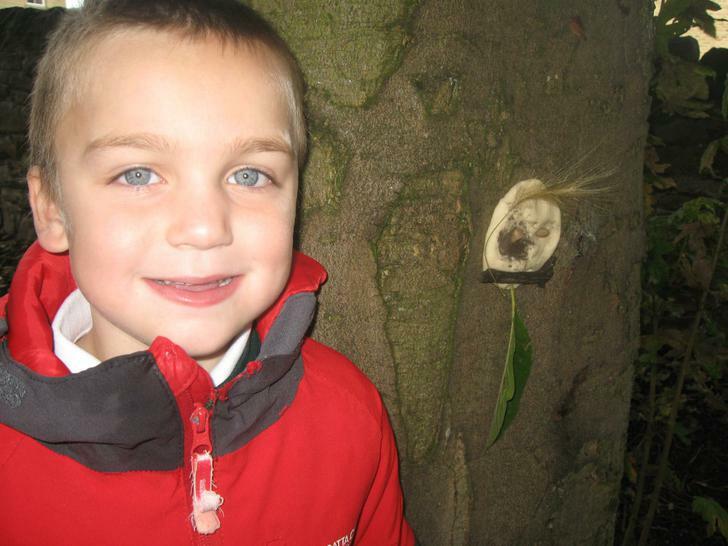 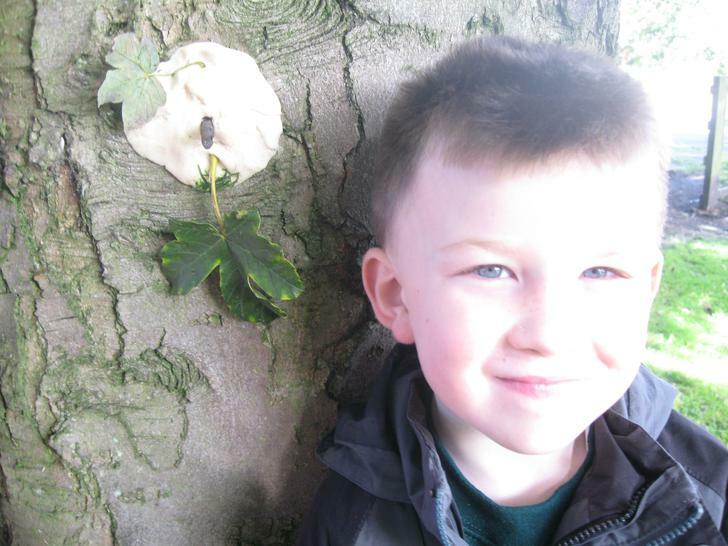 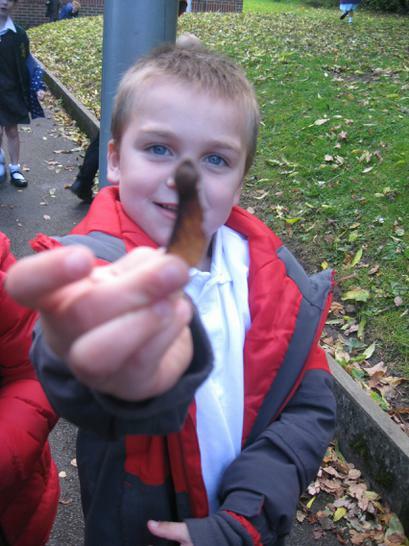 We collected natural materials from outside and made our own sculpture. 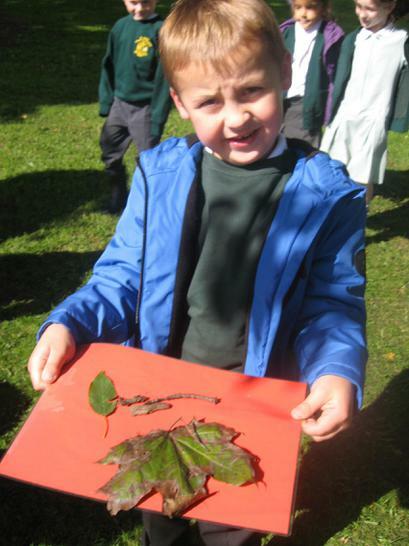 What did we make?